Tickets are on sale now for The Nature Plays, the first of two series of site-specific plays created by the Cemetery’s first Playwright Artist-in-Residence, Patrick Gabridge. Gabridge’s Mount Auburn Plays will be presented in two sets of 5 unique plays each: The Nature Plays premiere June 1-9, 2019, highlighting stories inspired by the rich natural environment of Mount Auburn with topics such as spotted salamanders in Consecration Dell, birders at Auburn Lake, and historic debates between naturalists who are buried at the Cemetery. Audiences will experience the performances at various spots across the grounds, surrounded by the sights and sounds of the natural world. Each performance will be followed by a discussion. The second series, The America Plays, will run from September 14-22, 2019, bringing to life the drama, philosophies, and struggles shared by Mount Auburn founders Jacob Bigelow, sculptors Edmonia Lewis and Martin Milmore, and others whose personalities lie at the heart of America’s first large-scale designed landscape open to the public. Tickets for The America Plays will go on sale at a later date. Approx. run time: 75 minutes. Total walking distance: 1.5 miles. 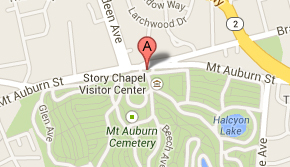 NOTE: The total walking distance includes some uneven terrain, unpaved paths, and steep inclines. Saturday, June 1 and Sunday, June 2, 2019 – Two performances each day, 1:00 and 5:00 p.m.
Saturday, June 8 and Sunday, June 9, 2019 – Two performances each day, 1:00 and 5:00 p.m.
Tickets are $35 per person ($30 for members). 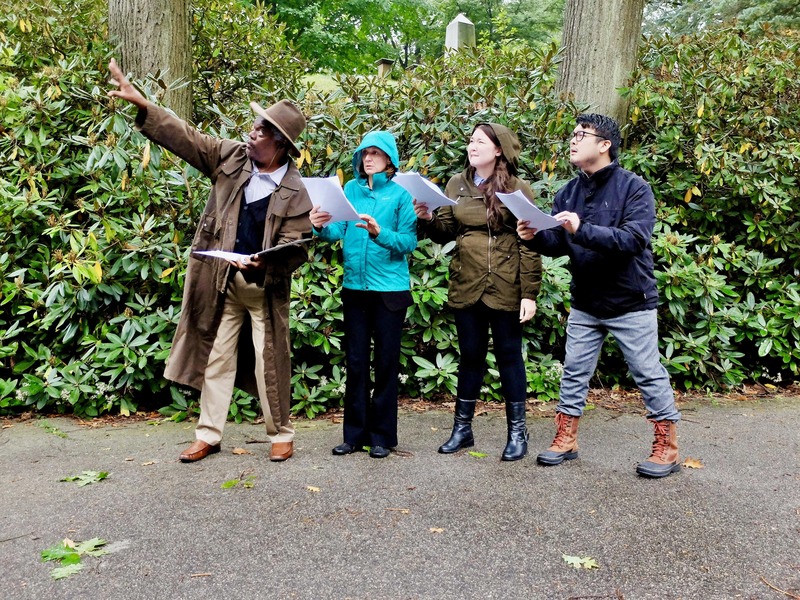 Please help support The Mount Auburn Plays with a tax-deductible gift to the Friends of Mount Auburn Cemetery at https://mountauburn.org/give/special-projects/#gift, and enjoy special benefactor perks! Your gift will help us hire local and diverse theater talent including a director, a stage manager, a costume designer, a casting coordinator, and up to ten regional actors. We thank you for your support.